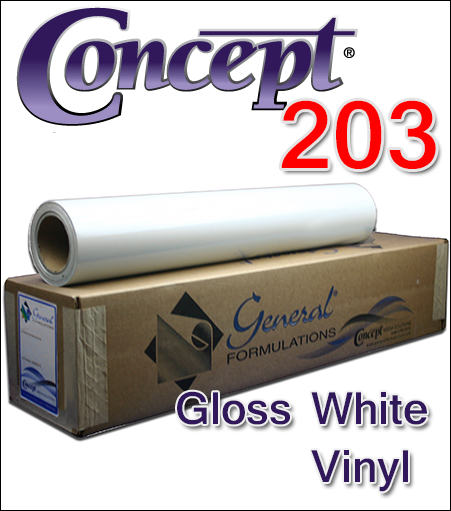 General Formulations® 203 is a premium white gloss flexible calendered vinyl film coated with 200-5000 permanent acrylic pressure-sensitive adhesive laminated to a 90# layflat liner. This film is designed to accept a variety of solvent-based inkjet and UV curable inks common to wide format digital printing systems. Adhesive 200-5000 produces permanent bond to a variety of common substrates used in the graphics industry. The 90# liner offers excellent product layflat in a variety of environmental conditions.